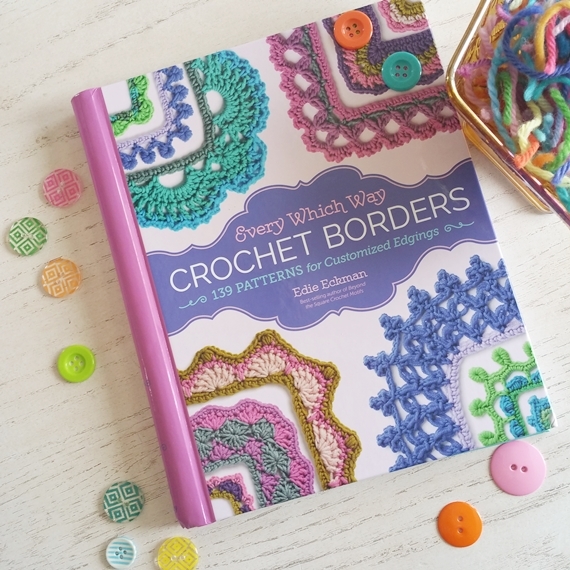 If you read my review of the new book by Edie Eckman (Every Which Way Crochet Borders), you'll know that I love it! If you missed it, read more about it here. 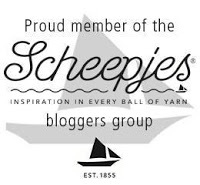 I'm also able to share with you a FREE pattern from the book!! Nifty, huh? Excerpt from Every Which Way Crochet Borders (C) 2017 by Edith L. Eckman. Photography by John Polak. Charts by Karen Manthey. Pattern, chart and imagery used with permission from Storey Publishing. I love the graphic nature of the circles (rondels) on the border and think it could add such a unique look. Clean and simple is good. Stitches & Notes: The construction of this border is interesting and unusual. Rnd 1 is straightforward; Rnd 2 in a separate piece that serves as the foundation for the rondels that will be worked in Rnds 3 and 4. Rnd 3 is worked in a join-as-you-go method to Rnd 1. Rnds 2-4 should be worked in the same color. Don't try to think ahead or guess what's going on, but take your time to follow the written instructions step-by-step, and you'll do fine! Flat join: Drop loop from hook, insert hook from front to back through st or space indicated, place loop back on hook and pull through to front. Rnd 1: Standing sc in first sc, sc in each sc around, placing 3 sc in each corner st, join with sl st to first sc. Place marker in ninth st after any corner st.
X is the number you'll need to plug in on Rnd 2. Rnd 2: Ch 6, dc in third ch from hook, [ch 10, dc in third ch from hook] X times, ch 4, join with sl st to first ch, being careful not to twist. 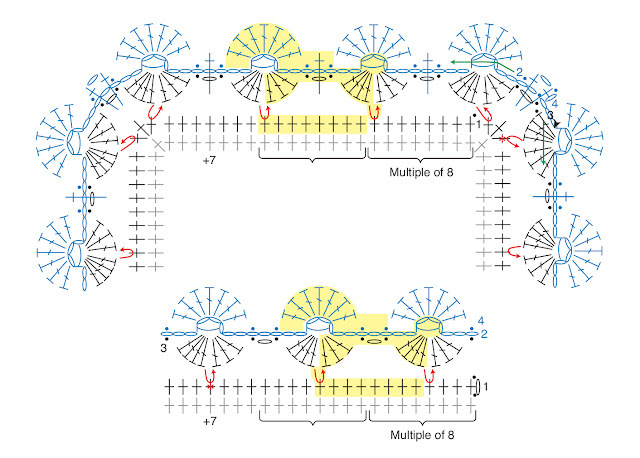 You now have a long skinny circular chain with X + 1 "rings." 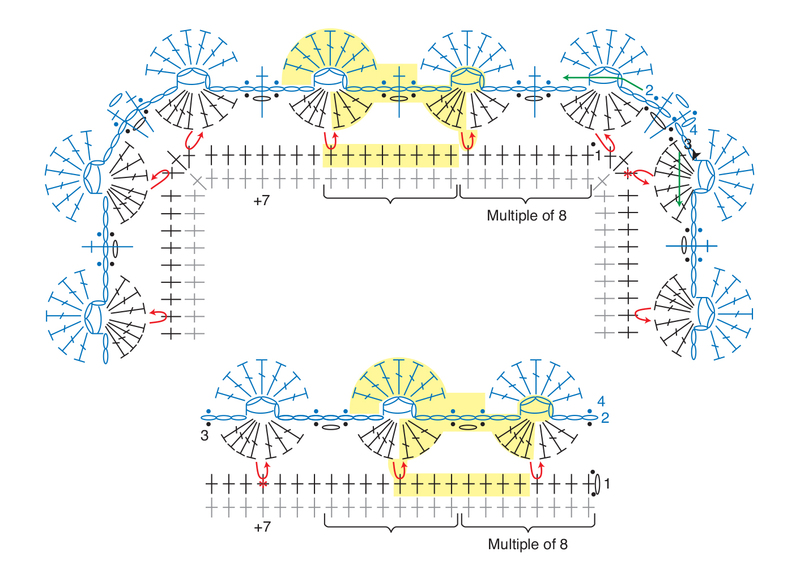 Rnd 3: 4 dc in next ring; holding main fabric (Rnd 1) so that the right side is facing and is above the current rnd,flat join to marked st, *[3 dc in same ring, skip 2 ch, sl st in next ch, ch 1, sk 1 ch, sl st in next ch, 4 dc in next ring**, sk 7 Rnd-1 sts, flat join in next st] to corner st, rep from * to ** once, sk corner st, flat join in next st; rep from * around, ending last rep with 3 dc in last ring, sk 2 ch, sl st in next ch, ch 1, sk 1 ch, join with sl st in first dc, turn. Rnd 4: Ch 1, (sc, ch 1, sc) over both ch-spaces of Rnd 2 and Rnd 3 together, sl st in next ch of Rnd 3, *7 dc in next ring to complete rondel, [sk 2 ch, sl st in next ch**, sc over both ch-spaces of Rnd 2 and Rnd 3 together, sl st in next ch, 7 dc in next ring] to corner, sk 2 ch, sl st in same ch as Rnd-3 sl st, (sc, ch 1, sc) over both corner ch-spaces of Rnd 2 and Rnd 3 together; rep from * around, ending last rep at **, join with sl st to first sc. Fasten off. There you go!! 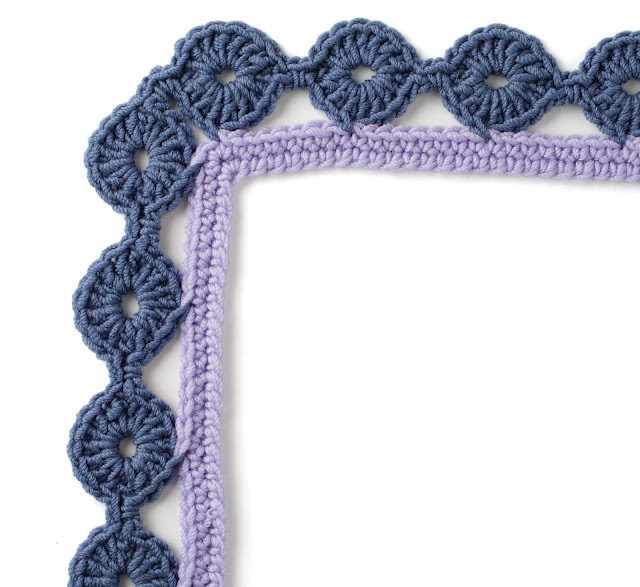 I hope you feel inspired to add this unique border to your next project! 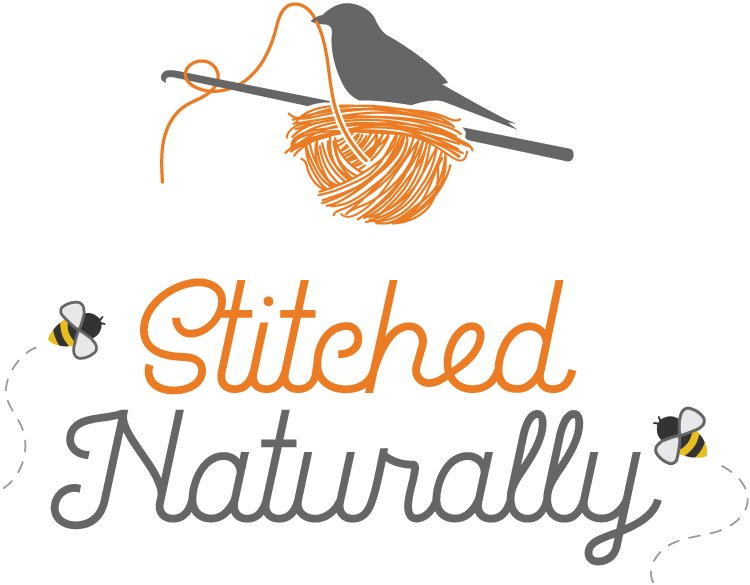 Stay in the "Button Loop" and enjoy the yarny happenings on my Facebook page here, Instagram here or Pinterest here. | On the Board | -- The first, middle and the last thing to do is pray. This border is gorgeous. Thanks for sharing. I put this book on my wishlist. This border would be awesome on a yo-yo Afghan!